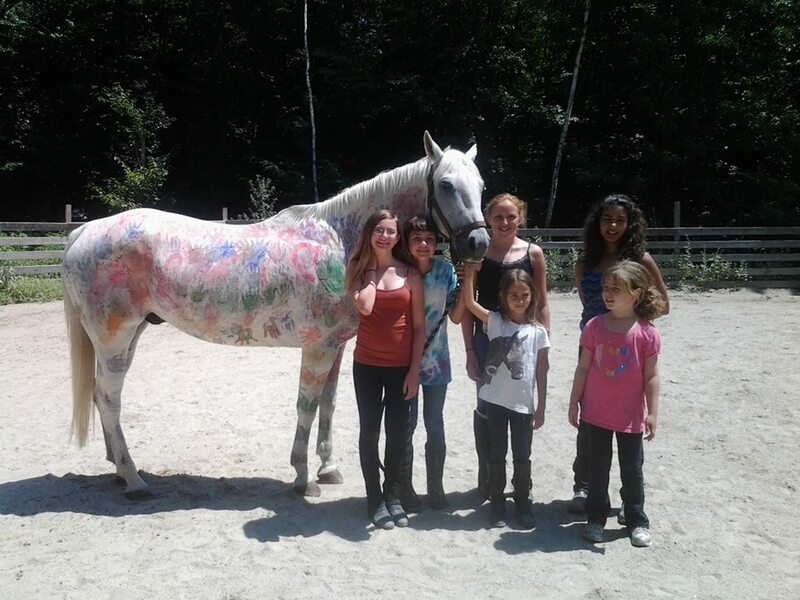 The Horse Care Club meets the second Saturday of each month from 9-11am at our farm in Sandown NH. Each member will have an "adopted" horse for the year and together we will feed, groom, pamper and learn about our horses. We will go over topics such as nutrition, anatomy, barn practices, equipment, safety, veterinary care, and much more. It's a great and safe way for the younger children (ages 4 to 11) to get comfortable around horses and other farm animals, it is $200 per year.